Go west on Ovilla Rd. 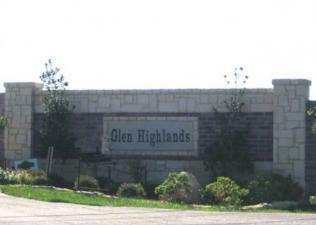 6 miles to Glen Highlands. Go south on Midlothian Pkwy. 1.8 miles to F.M. 1387. Go left on F.M. 1387 5.3 miles to F.M. 664. Go left on F.M. 664 .5 miles to Glen Highlands. Go north on Walnut Grove 1.7 miles to F.M. 1387. Go right on F.M. 1387 3.3 miles to F.M. 664. Go left on F.M. 664 .5 miles to Glen Highlands. I want to express how much we appreciate the genuine caring attitude we have gotten from everyone at Creative Homes. At a recent Homeowners Association meeting, we heard horror stories from many of our neighbors about problems they were having with their builders. In our opinion, they bought from the wrong builders. Any concerns we have ever had have been taken care of promptly and professionally.